Submarines conduct missions no other platform can undertake. They provide critical intelligence to national decision-makers in peacetime and provide the necessary capabilities to fight and win in littoral warfare. Thanks to their stealth and sustainability, American submarines are arguably the most efficient ships in the Navy because they can operate alone and conduct essential tasks for the Battle Group while putting minimal U.S. lives at risk. Faced with declining numbers of surface ships escorting each carrier, our Battle Group commanders can confidently employ a single submarine to conduct a sensitive mission while maintaining the cohesiveness and striking power of the remainder of the Battle Group. Able to operate covertly when necessary or overtly when desired, SSNs deliver multi-spectrum capability to our unified commanders. Such demonstrated capabilities have resulted in demands for submarines by CVBG commanders, theater CINCs, and the National Command Authority that exceeds the number of submarines existing today or projected for tomorrow. The VIRGINIA Class SSN is designed to provide the requisite capability at a more affordable price. Designed from the ground up with affordability in mind, the VIRGINIA class development, procurement and operating costs represent more than a 30% cost reduction from SEAWOLF1. Substantial cost avoidance is being achieved through the application of innovative design/build teams, computer aided design, system simplification, parts standardization and component elimination. VIRGINIA also leverages past investments in SEAWOLF component development and 688 class modernization programs. VIRGINIA will surpass SEAWOLF in stealth, mine warfare, special warfare, and battle group operations while maintaining a robust open ocean, "blue water" capability. The first major acquisition program to utilize Integrated Product and Process Development (IPPD) teams from inception, the VIRGINIA Program Office has twice won the David Packard Award for Acquisition Excellence. The new VIRGINIA Class provides the best balance between capability and cost. It is the first major combatant designed to meet the post-Cold-War environment and will deliver overall greater warfighting capabilities than SEAWOLF at SSN 688-like cost2. It also meets all military requirements for advanced SSNs specified by the CJCS. VIRGINIA has at least SEAWOLF level acoustic stealth and betters SEAWOLF in non-acoustic stealth. It is quieter than any advanced SSN at sea or under construction and will maintain the margin of acoustic superiority because it has the flexibility to adopt future advanced technology rapidly and affordably. Reconfigurable spaces, modular design and construction and open architecture enable faster and cheaper upgrades in future ships while allowing configuration for specific mission tasking. 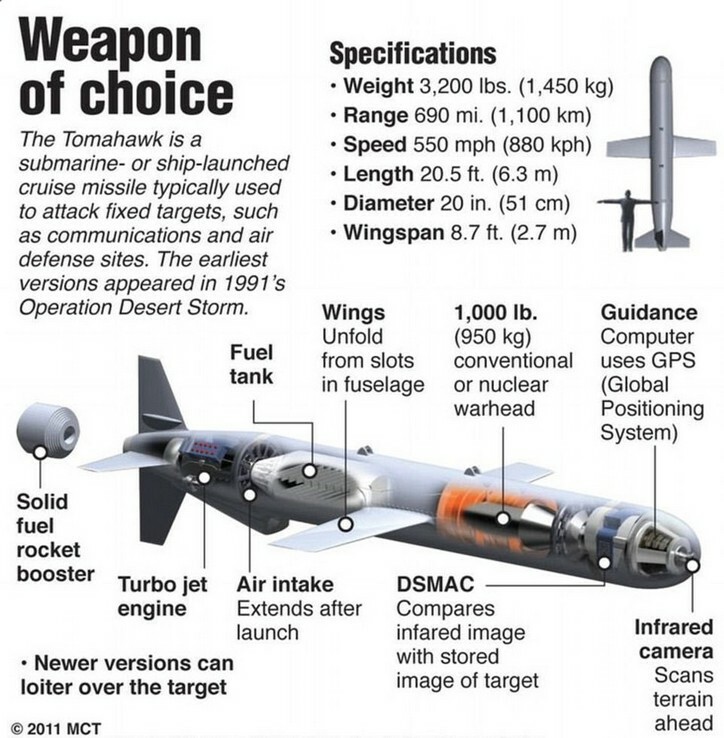 Non-nuclear submarines - wrong ships for the United States. America’s Navy operates, every day, in the far corners of the world’s oceans, often thousands of miles from homeport. Forward presence is one of the Navy’s key missions in this era of dynamic instability. However, we cannot count on basing our ships in foreign countries close to the deployment areas. Furthermore, force protection concerns make such basing in many cases unattractive, in the light of such tragedies as the Khobar Towers bombing. The Navy is an expeditionary force and must depend on its own endurance and agility to supply the deficit of forward bases. Non-nuclear submarines, even with the most advanced air-independent propulsion systems, simply do not have the necessary speed and endurance to get from homeport to the deployment areas in a reasonable, and militarily useful, period of time. Such submarines would have difficulty operating in support of highly mobile carrier battle groups and amphibious ready groups. Finally, such submarines would have to be significantly larger, or accompanied by a tender, to match the ordnance load and logistics capability that each of our nuclear submarines brings to the theater commander. Such a non-nuclear submarine has never been built or even designed. It is instructive that when our French and British allies were forced to choose between their nuclear and diesel submarine fleets by budgetary realities, they both chose to retain their capable, flexible and robust nuclear submarine capability, despite a long tradition of diesel submarine success and an existing diesel submarine construction and maintenance infrastructure. Building or retaining older classes of submarines does not meet US needs or save money. Several key points illustrate both the military and the fiscal fallacy of this approach. Greater R&D, design and engineering costs. Higher production line startup costs. Inability to benefit from a construction learning curve. Inability to exploit economies of scale. Higher longer-term maintenance costs due to unique equipment. If the value of submarines were still in doubt (as in the case of USS HOLLAND, America’s first submarine), or if serious questions existed on fundamental design points such as propulsion systems (as in the case of the interwar diesel submarines or the USS NAUTILUS – America’s first nuclear submarine), then building a series of prototype submarines would be intellectually defensible and fiscally prudent. This, however, is not the case. The value of submarines is clear and proven; their role in the Fleet is well understood and subject to a rigorous tactical development process; the basic design elements of modern U.S. submarines are well founded. America’s submarine force needs a means to insert new technologies while still providing combat power to theater commanders in a fiscally constrained environment. 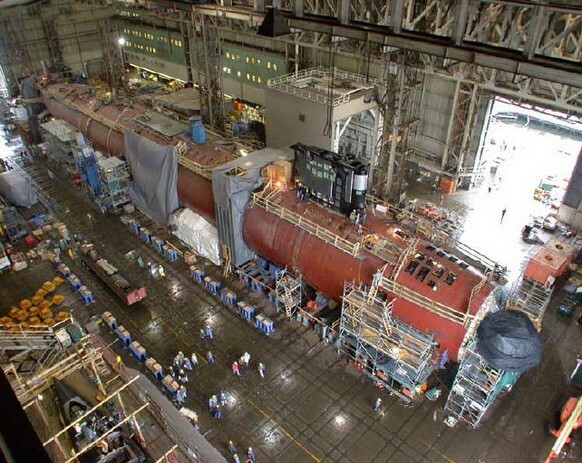 Building one-of-a-kind experimental submarines, which will have a short working life, may possess questionable combat value, and be ever more expensive to operate and maintain, is not a reasonable approach to the technology insertion challenge. On the other hand, the Congressionally approved strategy of robust technology insertion in VIRGINIA class submarines provides a sound approach to this important challenge. America requires a robust submarine force structure to gather critical intelligence, maintain strategic deterrence and to prepare the battlespace for joint forces in an increasingly dangerous world. VIRGINIA class SSNs embodies the best attributes our nation can place in an affordable submarine. The U.S. Navy, however, must make the requisite investment in submarine force structure and stable technological insertion on VIRGINIA to enable us to retain such a dominant "crown jewel" in military capability. Clearly, the stealth, survivability, firepower and cost effectiveness of nuclear submarines are a bargain for American taxpayers and provide a capability we can ill afford to lose. Click here for more information on the VIRGINIA class SSNs including development history, contract awards, design specifications, renderings and other links on the "Federation of American Scientists, Military Analysis Network" web site. 1 - Greater than 30% reduction in Total Operating Costs. VIRGINIA class already avoided 32% in class development costs compared to SEAWOLF, 28% in procurement costs and 32% in operations and support costs. 2 - Prior studies indicate that in FY 95 dollars, VIRGINIA costs marginally more (100M dollars) than an improved Los Angeles class submarine. This assumes both hulls were constructed in FY ’03 under the same conditions. 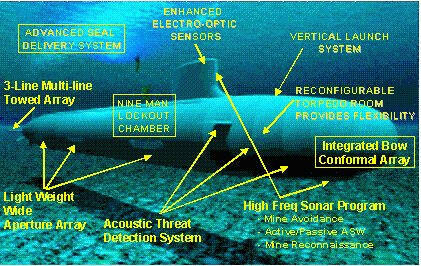 3 - VIRGINIA payload and sensors that could not be placed on 688I class submarines include, but are not limited to, the Lightweight Wide Aperture Array, the nine man lockout chamber, closed loop degaussing system and reconfigurable torpedo room. Additionally, the modified VIRGINIA sail, planned for hull 6 provides the opportunity for additional payload improvement.